The Higher Education Act of 1965 (HEA), as amended by the Higher Education Opportunity Act of 2008 (HEOA), includes many disclosure and reporting requirements. A disclosure requirement is information that a postsecondary education institution is required to distribute or make available to another party, such as students or employees. A reporting requirement is information submitted to the U.S. Department of Education or other agencies. The following link provides the information required to be made available to students. Additionally, to obtain an electronic or paper copy of the required information to be disclosed under HEA Sec. 485(a)(1), Sec. 485(f), [Sec. 485(h)], and Sec. 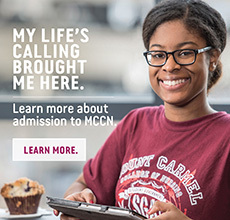 485(j), prospective and enrolled students may contact the Mount Carmel College of Nursing Administrative Secretary for the President’s Office at (614) 234-5726.